Have you got awkward wasted space that you wish you could do more with? Perhaps you need more storage but you're already stretched for space? If this sounds familiar, built-in cupboards could be the solution to your problems! Find out why in more detail below. If you are hoping to have some carpentry work carried out in a new or existing home or workplace and are unsure of where to start you can choose to invite an expert to help you make decisions and explain what could be possible in the space that you have available. If you own a property in Mayfair, London, there’s no doubt you want its interior to match the exclusivity and beauty of your neighbourhood and its surrounds. One of the best ways to create a truly impressive interior is to opt for bespoke carpentry solutions in Mayfair and custom-built furniture. Have an awkward shaped room that you can’t get any store-bought furniture to fit in? Got lots of things to store and a tiny apartment? See a fantastic storage solution but just can’t afford it? Maybe you’re hankering after something a bit special furniture-wise that none of your friends or neighbours have? Why Choose A Bespoke Wardrobe? 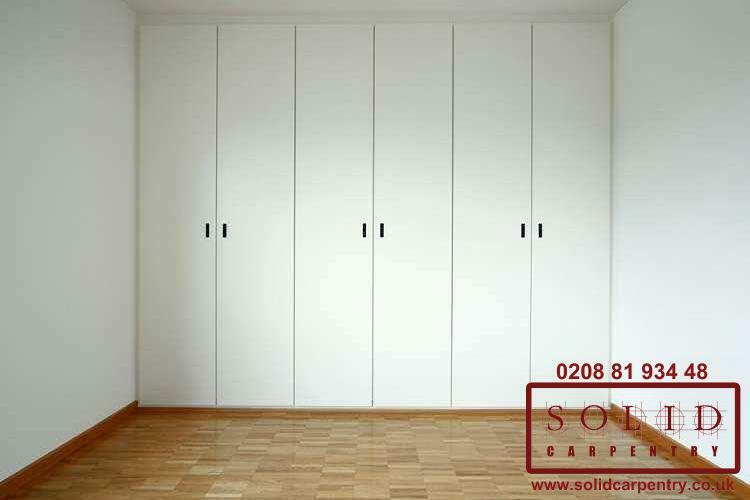 If you are looking for new storage furniture for your bedroom, a wardrobe is likely to be one of your top priorities. A bespoke fitted wardrobe is the perfect option for you if you want a piece that is tailored to your needs, at the space that you have available. Particularly ideal if you have an awkward area, such as a uniquely shaped alcove, a bespoke wardrobe can be made to suit whichever shape and size you need, ensuring that you make the most out of the area, and don’t end up wasting valuable storage space. Company Registered in England and Wales No 7518414. VAT No 127717113.